According to family and friends, there are foods that define me. Pineapples, coconuts and meringues make them think of me. And when it comes to baked goods they know I’m a total sucker for pastries with apples and cinnamon. 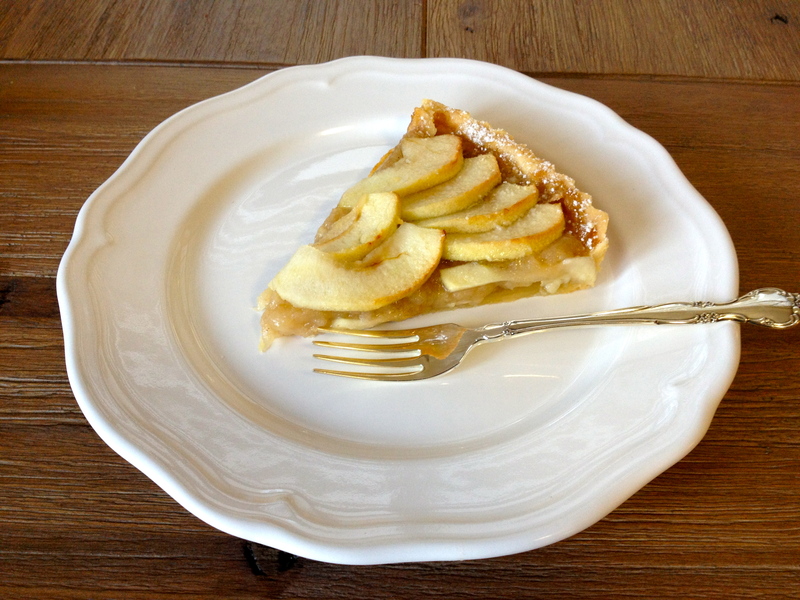 So it’s no surprise that this French Apple Tart was an absolute pleasure to bake and eat. Soft, mashed apples with a hint of cinnamon, topped with a layer of tender, baked, apple slices. This recipe is from the book, Baking with Julia and it’s this week’s scheduled recipe for Tuesdays with Dorie. If you’d like to see the recipe and give it a try, Gaye will be posting it on her website, Laws of the Kitchen. \I decided to use another recipe for the pastry crust however. I tried the ‘flaky pie dough’ from this book when the group made the Blueberry-Nectarine Pie. I’ve tried Dorie Greenspan’s ‘tart dough’ recipe from her book Around My French Table , as part of the French Fridays with Dorie group, and I’ve loved it each and every time. But I wanted to try something different this time. I mean what’s the point of buying so freaking many cookbooks if you’re not going to open them up and give them a test run? Right? So I decided on a recipe from John Barricelli’s The SoNo Baking Company Cookbook and my husband declared it the best pastry he’s EVER had. 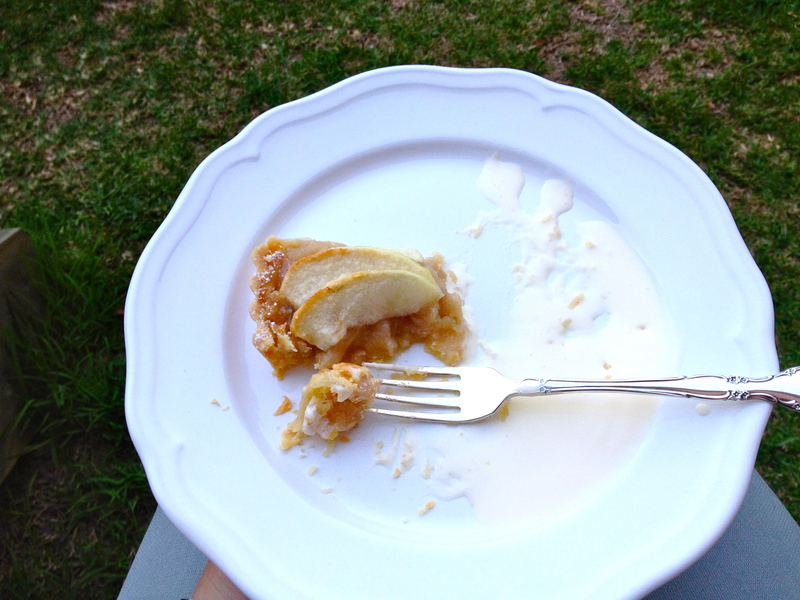 He even asked if he could scrape off the apples and just eat the crust! I have to admit, it was pretty good! It went amazing well with the tart filling. 1. In the bowl of a food processor, combine the flour, sugar and salt. Add the butter and pulse until the mixture resembles coarse crumbs, about 10 seconds. With the machine running, add the ice water through the feed tube in a slow and steady stream, a little bit at a time until the dough just comes together. The dough should not be wet or sticky. If the dough is too dry and does not hold together, add a little more water. 2.Turn the dough out onto a clean work surface. Divide into two and wrap each half in plastic wrap, shaping them into flattened discs. Chill at least 1 hour before using. 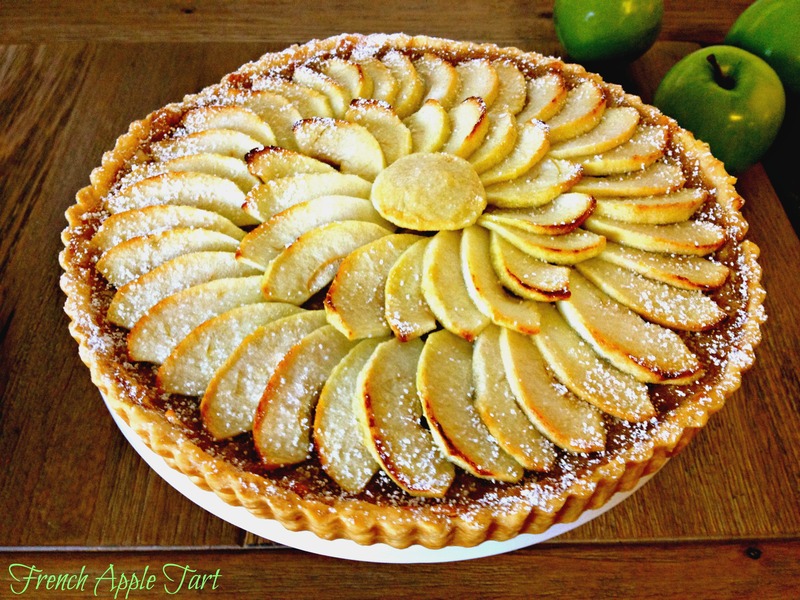 Tags: apples, baking, cooking, dessert, food, french food, recipes, tarts, Tuesdays with Dorie | Permalink. Looks beautiful! I loved making this one too – so delicious and simple, yet so fancy! Your tart looks perfect!!! what a good job! I’m with you on the all butter crust. Your tart is beautiful…looks perfectly baked. What an absolutely beautiful tart! Lovely post and thanks for sharing. Your tart is just beautiful – I am impressed you are running your oven in this heat. What a perfect looking tart! 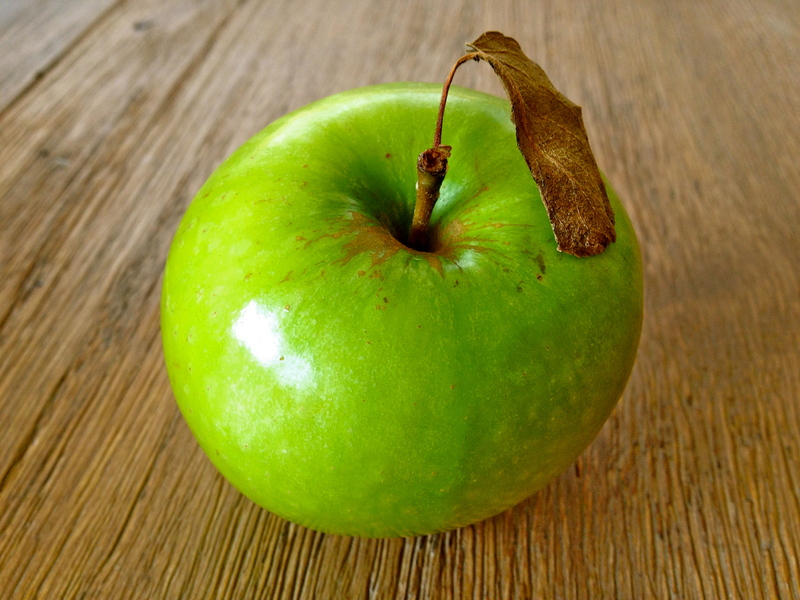 And, I even like the photo of the single apple as well! Your tart is absolutely beautiful!!! You are right, it is amazing what you can make with so few ingredients! Great post and pics! That’s so funny about the pie crust! I don’t like the French Table one, but I love this Baking with Julia one. The SoNo one sounds like a real winner though – I’ll have to give it a try. Beautiful tart you’ve got there – such lovely color to it! Well done! What a beautiful pastry tart! Thanks for sharing the pastry tips! Looks wonderful, Sanya. Worth turning on the oven during a heat wave for. I’m a sucker for apple desserts too. I used a different crust (Mark Bittman’s), and it looks pretty much the same as the one you tried. Don’t you discovering perfection? I don’t think you can go wrong with any of John’s recipes. Your photos are gorgeous, Sanya, especially the one of the apple. Beautiful! I’m glad this was also a hit with your and your family.